By Justin Lawler. Developer. Technology Enthusiast. Life Logger. When people think about blood testing, they generally either think standard doctors visits where blood is drawn from the arm. Or if they’ve been following the news, the US based company Theranos. But blood testing is coming long in leaps and bounds, with many companies set to revolutionize healthcare over the coming years. The Dublin convention center was recently booked for a 4 day event on Metabolomics, analyzing molecules in the blood, where over a thousand people from all over the world were discussing the future of blood testing. Last week at the Dublin Quantified Self meetup, we had two speakers talking – from Kenkodo & from ProteiQ. Two startups involved in bringing advances in blood testing mainstream. The latest in blood testing technology uses mass spectrometry, a big leap forward from current technology. Kenkodo for instance talked about how using mass spectrometry, they can identify over 2000 molecules in the blood, as opposed to 40 in the current doctors tests. ProteiQ can identify over 500 proteins in the blood. 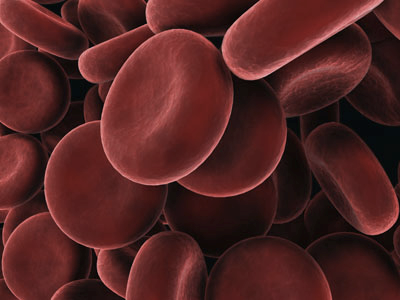 In addition, mass spectrometry giving much greater insights to blood, tests only requires a single drop of blood. Samples can be taken at home from a fingertip blood draw and sent in the post to the labs, massively reducing costs, time and effort required for blood testing. Kenkodo is a branch of Metabolomic Discoveries, a biotech company based in Potsdam, Germany. Their first product was released on an Indiegogo campaign in 2015 to bring metabolomics analysis mainstream. Kenkodos body tracker allows users to track blood metabolites across daily, weekly or monthly samples and displays trends in a Web UI & app. Patterns can be identified & correlated to lifestyles & behaviors, and give users deeper understandings to how their lifestyles are impacting their blood. Kenkodo specialize in helping users optimize their health in relation to specific users interests such as diet, fitness, fertility & diabetes for instance. ProteiQ are a startup working on bringing mass-spectrometry based protein tracking technologies into wider adoption. At different stages of their career working for The Boston Consulting Group and CRUK cancer institute (Cambridge, UK) – ProteiQ founders Artyom and Arnoud respectively, realised mass spectrometry proteomics could be taken more mainstream to solve consumer level problems. ProteiQ are currently in R&D phase bringing out a test to identify overtraining in athletes. Currently there is no such reliable test available. Dry blood based approach developed as part of this phase will be able to be brought forward to future applications. Launched our first biological studies on overreaching with a group of athletes, thanks to Prof. David Nieman from Appalachian State Uni! The future of detailed, easy to use blood testing opens up a range of potential new applications. Cheap & easily done high frequency blood tests for cancer, pre-diabetes or a range of additional diseases. Managing chronic diseases safely through lifestyle changes rather than drugs. Home blood testing is becoming a real possibility, companies like Cor & Cue are developing products to do advanced blood tests without the need for labs. Larry Page from Google recently said that with data mining healthcare data, over 100 thousand lives could be saved annually. With advanced blood testing becoming accessible and affordable to all, this becomes achievable.